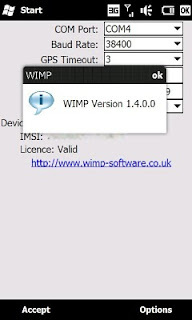 In the event of your phone being lost or stolen, you can simply send a specially formatted SMS text message to the phone and the W.I.M.P software will silently intercept it. W.I.M.P. will then send back a message containing the phone's GPS location in a format which can be entered into any common mapping application. OK - so someone steals your phone. What is the first thing they're going to do? Change the SIM card right? The W.I.M.P. application will automatically detect a change in the SIM card and send you a text message containing the new number. You can then use that number to track the device's location or even ring the phone! 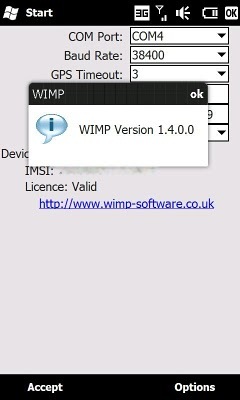 W.I.M.P. will always run covertly in the background, it will even automatically start when you reset the phone ensuring it is always protected. Runs silently and covertly in the background. It doesn't even show in the list of running programs. If the SIM card is replaced on the phone, it will automatically send a text message informing you of the new number.